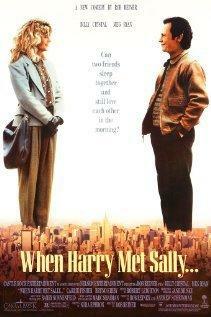 HDD Spotlight Bargain: 'When Harry Met Sally' Blu-ray $10 at Wal-Mart! Pre-order Rob Reiner's hit 1989 romantic comedy on Blu-ray for half price and only at Wal-Mart! The Wal-Mart exclusive 'When Harry Met Sally' starring Billy Crystal and Meg Ryan is only $10 (50% off suggested list price). The film received an Oscar nomination for its screenplay written by Nora Ephron. Click here to order this fan-favorite available on July 5.